EGX - the UK's biggest games event - gets under way today at the NEC in Birmingham. The four-day event gives UK gamers the chance to get their hands on the latest games due for release this holiday season including our favourite, Super Mario Odyssey. 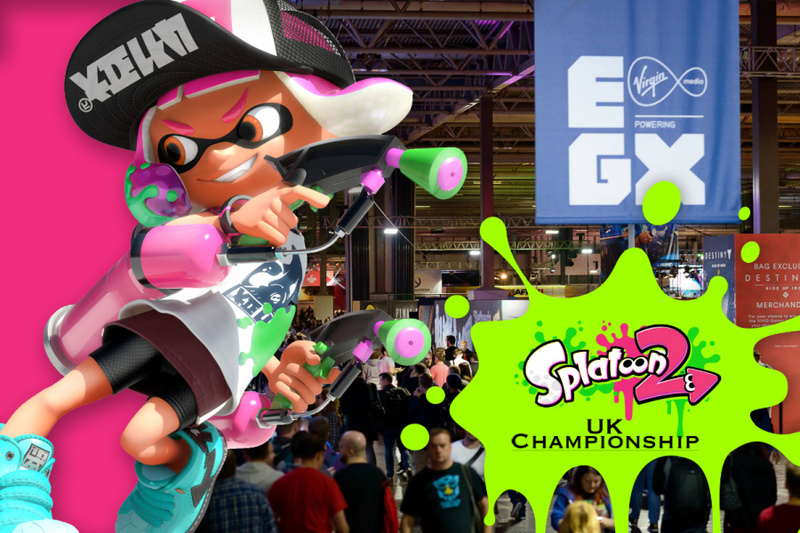 On Saturday the show will host Nintendo UK's Splatoon 2 UK Championship Grand Final which - as previously announced - we will enter our very own Nintendo Life team. A couple of weeks back we held a qualification event to find two readers who were worthy to join our team, the response was incredible, with our winning pair posting a fantastic score. We're happy to introduce cF|Flare and BluRacer7 who will join staffers Alex Olney and Ryan Craddock as our crack Nintendo Life Splatoon 2 squad. The final stages of competition will be live-streamed via the Nintendo UK Twitch channel on Saturday evening, so stay tuned for more information. Nintendo Life: Congratulations! Amazing performance in the qualifier, do you want to tell us about it? cF|Flare: I think it went pretty well overall. We were hoping to get 1st in the world during that rotation - however, we got 2nd and that was a really strong score. We had been aiming for a score above 2400 and we were really happy to get 2426.1. We had decided beforehand what weapons we would be using as we knew the map and mode from Splat Net. BluRacer7 used the Octobrush, which is his favourite weapon category. I decided to use the Trislosher as this was before the version 1.3.0 update, so it was very strong and provided good ink armor support. BluRacer7: It was exhausting, we both just went in and give everything we got, once we hit the 2400s we knew we had a chance of winning the qualifier. We had a good combination of map control, pushing forward and maintaining the objective. We understand you forged your team via Twitter, do you know each other or have you played together before? cF|Flare: I am part of a European Splatoon team called Crѐme Fresh. However, I am the only UK member, therefore I needed to find other UK players to attempt to qualify with. I decided to ask via Twitter and BluRacer7 replied to it. We know each other from the Splatoon competitive community and have played together a few times in the past, so we knew each other's style of play. BluRacer7: We quite know each other but this was our first time playing together. After Insomnia I had to find someone to pair with for the League Battle Pair and I respond to Flare who was also looking for a partner as well at the time, so we both agreed to be the pair for the qualifier. How did you get into Splatoon 2? Did you play the original on Wii U or is Switch the first time? 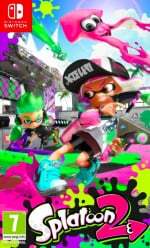 cF|Flare: I got into Splatoon with the original Wii U game, as I got the game at launch. Once the August update was out I started looking for a competitive team as private battles had been added to the game and this allowed tournaments to be played. I joined a team called The Visionaries and stayed with them until we disbanded in early April 2016. I then joined Crѐme Fresh in late April 2016 after trying out for them. I have been with Crѐme Fresh since then and still wish to keep playing competitive Splatoon into the future. BluRacer7: I played the original on the Wii U and been apart of the competitive community since January 2016, and I jumped to Splatoon 2 as soon as it dropped. I've been practicing non-stop for big tournament events like this to this day. Aside from Splatoon 2, what other online games do you play? cF|Flare: We don't play any other games together, but I am a big fan of most Nintendo games. My personal favourite series is Zelda but I love many other series, including Pokémon. I don't really play many other games outside of Nintendo except for Overwatch. BluRacer7: I play other online games such as Overwatch, Mario Kart, Smash, etc. during my spare time. Let's talk tactics - what weapons and strategy do you prefer in Splatoon 2? cF|Flare: I am a flex player in Splatoon so I enjoy playing many different weapons and I will often play a weapon that will fit to what other people in the team are playing in a map/mode. However, my favourite weapon category is Chargers. They are fun to play and it is nice when you get big splats which really help your team. The weapon category I feel I play most is the Dualies. My favourite Dualie is the Dapple Dualies due to their speed and their 3 shot splat. But due to the amazing kit of the Emperry Splat Dualies, I use them the most. My personal style for playing Splatoon is pretty defensive and therefore supportive. When needed, I am able to play offensive. BluRacer7: I main solely on Brushes (Inkbrush being my main but I mostly been using Octobrush recently) with my prefer playstyle to be a speedy aggressive slayer, hunting down other players while also gaining turf control in quick pace. How are you feeling about the grand final; excited, nervous? What are you most looking forward to? cF|Flare: I am looking forward the event in general as I will be able to meet other people from the competitive community. So far I have only been able to meet other people from Crѐme Fresh but now this is an amazing opportunity to meet more people. Overall, I am really excited for the competition and I hope we can win it. BluRacer7: I’m excited but also nervous at the same time, since I know the other qualifiers are really good and I know a lot of them. I’m also glad I get to meet them all again, because we all met up at Insomnia for the first qualifier and it’ll be nice that we all get to meet up again at the same place where it all began. Finally, will people be able to follow your grand final day? cF|Flare: During the day I will be updating how the day is going over Twitter. You can follow me at @cF_Flare. I also post videos of Splatoon and more to my YouTube channel. Finally, my team posts lots of good tweets to our Twitter which is @cF_Splatoon and videos to our YouTube channel. On my team's YouTube channel you will find many good guides, montages and podcasts. BluRacer7: Yes, they can follow me on Twitter. I also do livestreams on Twitch when I feel the need to, but we are going to practice after this interview is done. We'd like to thank and for their time, we're looking forward to meeting them on Saturday and competing together in the Splatoon 2 UK Championships. We'd also like to thank everyone who played in our qualifying event, we had an amazing response with so many great teams posting scores. I don't remotely follow Splatoon's competitive scene so I have no idea who any of these people are. But if it pushes Nintendo products and thus generates more hype, leading to more quality games like this from Nintendo... HELL YES. On a side note, like every one of my students who has a Switch has Splatoon 2. It's THE Nintendo game to have right now in Japan. Looking forward to seeing Alex bust out that Hero Splatling, stingrays for days! Octobrush and pre-nerf Tri-Slosher? I call hacks! But good luck to the Nintendo Life team! There were better teams...but they got disconnected! Haha! Seriously though, congrats! ..and best of luck for the weekend Team NL! "Once we hit the 2400s we knew we had a chance of winning the qualifier"
And there I was hoping to break 2000 thinking that'd mean we'd be in with a chance (...we got under 1900 on that session). Anyway, congrats to the winners on a well deserved victory. 2nd in the world, 1st in Europe, and 1st in the UK by a country mile. Hold onto your seatbelt, @AlexOlney! And good luck! I'll try and make it on Saturday to watch. Good luck all! Is there a specific chant we should be using? good luck! we will know that team nl reps nintendo life and not the dutch. I love following the competitive Splatoon community. Congrats on getting Flare and BluRacer on the NL team!